The leader of a political party that believes the government shouldn’t “pick winners and losers” in the economy. Republicans believe in the free market, while Democrats favor government intervention in the economy. This is a foundational premise in mainstream political discourse — one tacitly endorsed by officeholders in both major parties, and echoed in the “objective” reports of nonpartisan media outlets. It is also an incoherent — and wildly misleading — way of framing the partisan divide on economic policy in the United States. For one thing, the “free market” is an ideological fiction — all markets are structured by government policy. Private property is not a naturally occurring phenomenon; money does not grow on trees: Turning communally held indigenous lands into real estate required government intervention on a massive scale. But even if one stipulates that “free market” is an appropriate shorthand for the ideal of minimizing state involvement in the economy, it would remain bizarre to attribute that principle to the GOP. The Republican Party fights relentlessly to increase the public sector’s involvement in the manufacture of weapons and aircrafts, diverting resources out of the market economy and into centrally planned production. Paul Ryan’s vision of a “free market” in health care involves the government obstructing free trade in pharmaceuticals through the provision of patent monopolies — while his party supports all manner of handouts to its favorite corporations and industries. As with so many other myths about American conservatism, the Trump era has turned the GOP’s supposed reverence for “small government” into dark comedy. A few short years ago, Republicans were decrying the Obama administration’s attempts to subsidize sustainable-energy development as “crony capitalism.” And when then-President Obama adopted an expansive interpretation of the Clean Air Act — and began aggressively using his executive authority to combat carbon emissions — Republicans lamented his efforts as a tyrannical usurpation of Congress’s authority. … The Energy Department would be relying partly on the Federal Power Act – the so-called Section 202 authority – that lets the administration order guaranteed profits for power plants that can store large amounts of fuel on site. And the Energy Department would be tapping the 68-year-old Defense Production Act, a Cold War-era statute once invoked by President Harry Truman to help the steel industry. If you squint, you can almost see a plausible rationale for this policy. Natural gas pipelines are subject to breakdown; the sun goes down at night; sometimes, the wind stops blowing. But the notion that America’s energy grid is running dangerously low on reliable, “base-load” energy sources has been debunked by multiple independent experts — and undermined by a leaked draft report from Rick Perry’s own Energy Department. More fundamentally, propping up the coal industry on “national security” grounds is patently absurd, given that the Pentagon has named climate change as a leading threat to national security. Now, keeping nuclear power plants open through government subsidies is a thoroughly defensible policy; America needs all of the non-carbon-based energy it can get. 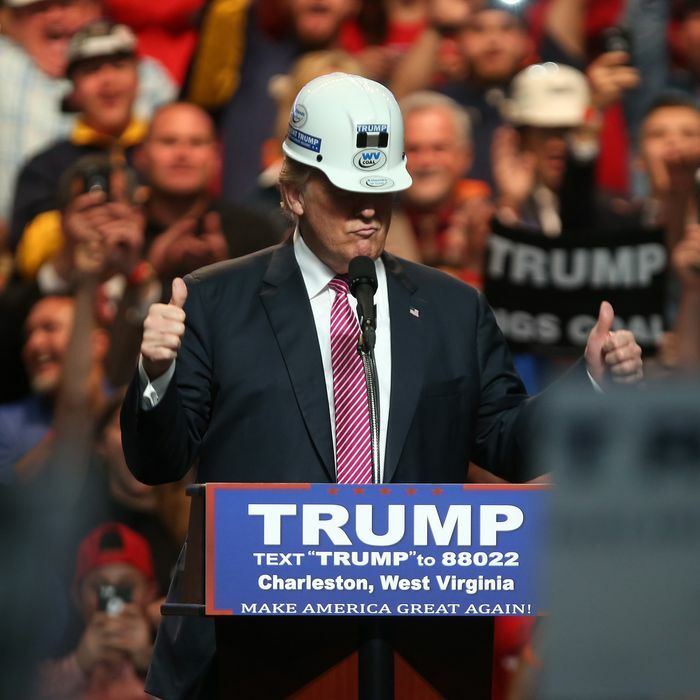 It is plainly obvious, however, that the Trump administration is not trying to bail out failing coal plants for the sake of America’s national security, but rather, for its corporate donors’ financial benefit. The coal magnates Robert E. Murray of Murray Energy and Joseph Craft of Alliance Resource Partners are both big-dollar Republican donors who together shelled out over $1 million for Trump’s inauguration (much of the $107 million donated to those festivities remains unaccounted for). Craft and Murray have both implored the administration for subsidies to keep their coal plants open. The policy described by Bloomberg would safeguard these plutocrats’ profits — by artificially inflating the size of consumers’ energy bills, and degrading the quality of their air. 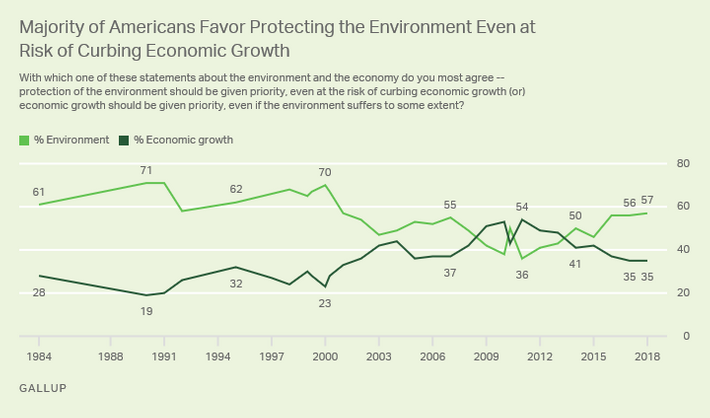 In recent years, a large majority of Americans have come to believe that the government should prioritize environmental protection over maximizing the economy’s performance. Now, the Trump administration is proposing measures that would hurt voters economically and damage the environment simultaneously. It is obvious why Republicans like to describe their economic philosophy as “free market” conservatism — doing so paints government intervention on behalf of their party’s core interest groups as natural, while painting that done on behalf of their rival’s constituents, as an infringement on liberty. Why so many putatively objective political reporters and commentators have endorsed this frame is harder to understand. But if we acknowledge that the partisan divide is not actually about whether the government should intervene in the marketplace — but how it should do so — then the GOP’s position becomes untenable; and its power, a bit less renewable.